Talking about made in Nigeria smartphones and with the Imose Bam, I think Imose is a major brand. The phone makers are also involved in feature phones too. The Imose Bam device is an entry-level smartphone. It gives you the entire experience of an android device, and at a meagre price too. Let us quickly take a peek into the world of the Imose Bam device. You should expect as much for an entry-level device. The price of the Imose Bam is N13,500. This price depends on your location in the country, so it could increase or decrease a bit. You can get this device from online stores in the country. 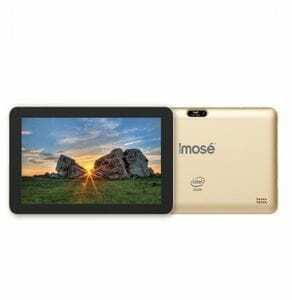 NOTE: You can get a 20% discount on this device with the #ImoseAt3Deals. Offer ends on the 9th August 2017. Imose Bam is sure a very portable device, as it seems to fit to use. The smartphone is very sleek and shiny, and the back panel is most likely made of plastic. The rear camera is carefully and rightly mounted at the upper centre of the back, and the flashlight placed just by the side. Power and volume buttons located on the right side of the phone. This new Imose phone comes in three colour variants – Gold, black and white. A very interactive and responsible 4.0-inch display is what is present in the phone. The screen resolution is pegged at 400 x 800 pixels. This 4.0-inch display the Bam spots is what informs its portability. The Proper operation would require just one of your palms. The display type is an FWVGA LCD. The Imose Bam runs off an Android operating system v6.0 MarshMallow. It is laudable that a supposed entry-level smartphone features this OS. Others are usually addicted to the KitKat 4.4.2. It is also built on a Quad-core SC7731 processor. The processor speed is set at a somewhat not impressive 1.2 GHz. For your storage of music, videos, documents and other files, Bam avails users with a 4 GB storage space. This space can then be expanded to the tune of 32 GB with the help of a micro SD card. The smartphone comes with a 1 GB RAM which aims to take care of the smooth running of apps and switching through them. On the rear of the Imose Bam, there’s a 3 MP camera, which comes with a flashlight. While on the front, the camera quality is pegged at 1.3 MP. You would have to overlook this department, at least because of the entry level status of the phone. As its powerhouse, the Imose Bam packs a 1,800 mAh battery power. This could be acceptable for entry-level devices. However, it also sends an unmistakable message to keep off heavy and average smartphone users from it. The battery power, in our own opinion, can only comfortably cater for light smartphone users.